One example of reservation system around the world is a seat reservation for senior citizens and physically handicapped in public (bus) transport. 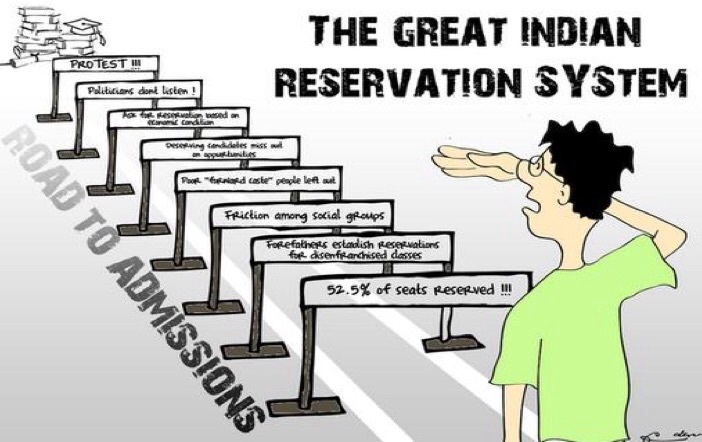 Reservation system in India was introduced for diminishing gap between the upper and lower castes. It was praised in inception but now it is criticizing more and more. The system of allotting seat contraries to a general principle of justice for merits of individuals. More eligible candidate for vacancy position in a company would be at a disadvantage in a competition with a pretender who belongs to reserve category. 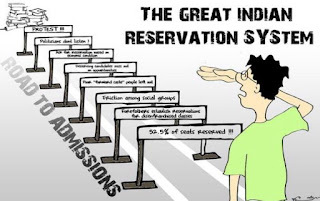 Politicians use reservation system as a gimmick to have a permanent vote bank (constant number of supporters in elections). All jobs under certain State governments are reserved for those who are domiciled within the jurisdiction of that government. It seems logical but the embodiment of quote system in life leads to the absurd results. Some feminist groups demand that reservation for women should be at least 50% as they comprise 50% of the population. Some example mentioned here referred to the India and some to all societies.